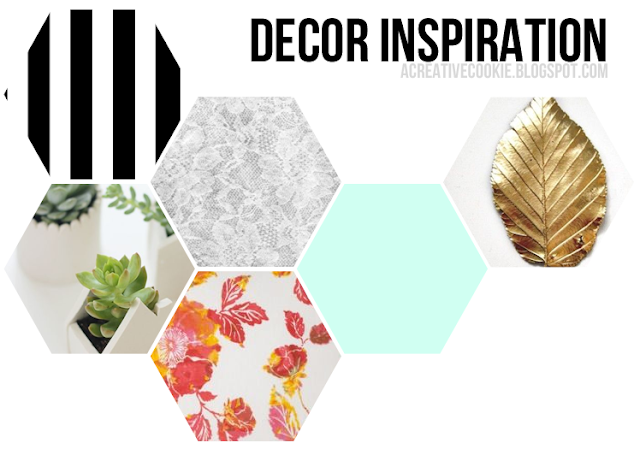 I've been collecting different patterns, colors, and elements for my room decor after hours of browsing through beautiful homes on Pinterest. I can't wait until I redesign my room with a large work space for blogging, designing, online shopping, etc. I realized a few months ago what I was missing in my room was the natural stuff: plants and wood (everything I had was painted), so I'm incorporating a lot of green. I was compensated for this post. All opinions are 100% mine.